One of the most accessible guides to China’s much hyped J-20 stealth fighter was recently published by the Center for Strategic & International Security (CSIS) for its “China Power” side project. The webpage features a detailed essay accompanied by various media, including an addictive 3D model of the J-20, which readers can examine at length by moving it with their cursor. The 3D model features numbered annotations over the important parts of the J-20’s airframe. The CSIS’ fresh take on the J-20, which entered service with the PLAAF last year, is useful for general and specialist readers alike. Its layout is appealing and the details are rich and varied. Those familiar with the J-20’s origins will appreciate how the authors compressed its history into a few paragraphs. To summarize, the J-20’s existence was first leaked online in early 2011 and its evolution closely followed by analysts and aviation enthusiasts alike. By 2016, however, two J-20’s flew above the site for the Zhuhai Air Show, China’s largest event for the commercial aviation sector. The same venue is also known for its displays of locally made conventional weapons for export. Then in 2017 three J-20’s appeared at the end of a lavish military parade to mark the PLA’s 90th anniversary. This year J-20’s grabbed headlines once more as they participated in Zhuhai again and even appeared with their weapons bay loaded with missiles. A J-20 tandem at the Zhuhai Air Show 2018. Via Chinese state media. The CSIS’ profile of the J-20 discusses at least five important details about the controversial aircraft now recognized as the most advanced in the Asia-Pacific. (That isn’t the US Air Force’s F-22, of course.) The authors make it clear the J-20 is an authentic multirole stealth fighter, albeit classified by the Chinese as “fourth-generation,” and combines advanced avionics with supersonic cruising speed. What isn’t clear yet is whether the J-20 is meant for the air force–whose primary mission is territorial defense–or the navy with its minuscule aviation fleet. This is further muddled by the J-20’s newness. The CSIS claims “at least eleven” J-20’s are online and this counts as low-rate initial production. But there aren’t any clues on two important details: how much each unit costs and how many are supposed to be made. In both regards, the CSIS throw different assumptions at the reader. A single factory fresh J-20 may or may not cost $100 million to make. The authors then mention “several hundred J-20’s will be produced to replace older fighters” although what those “older fighters” are is unclear. Old like the Cold War vintage J-7, a clone of the Soviet MiG-21? Or old as in the J-11, a clone of the Russian Federation’s Su-27? What the CSIS have determined with some confidence is how the J-20’s design works. The authors point out, for example, the elongated fuselage of the J-20 is meant to accommodate the weapons bays near the engine intakes. These include two lateral panels for storing air-to-air missiles and a spacious compartment for other munitions. 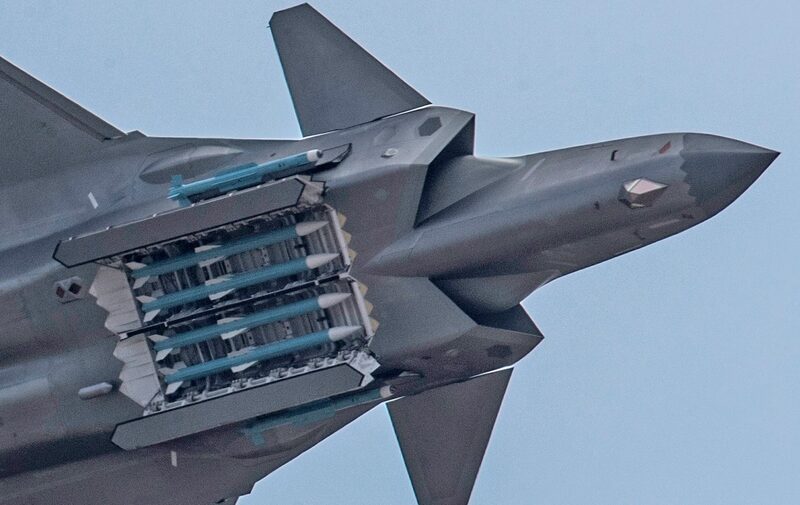 So far, the J-20’s avionics are an AESA radar on its nose, a bulging “search and track” sensor below the cockpit, and an unspecified “advanced communications suite” for datalinking with–in the authors’ opinion–unmanned early warning aircraft. The CSIS’ profile of the J-20 does broach a very contentious issue about its performance: where are the long anticipated WS-15 engines? 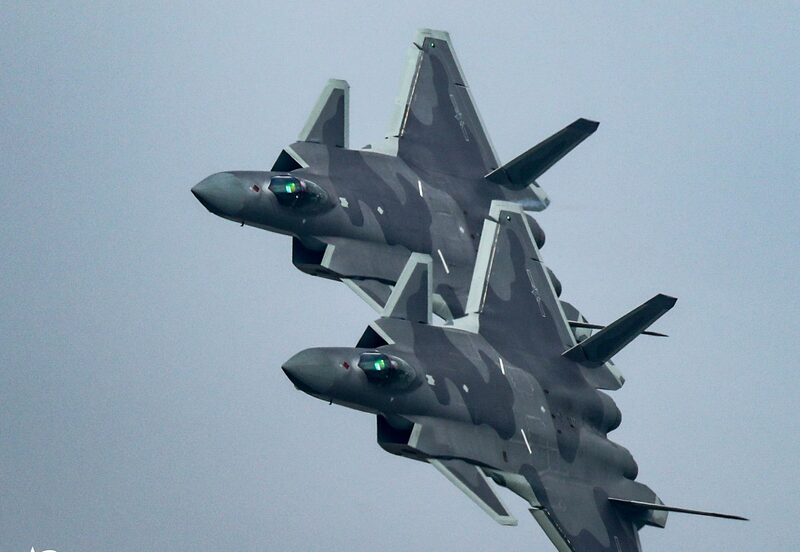 During the Zhuhai Air Show earlier this month, in fact, many observers noticed the J-20’s that appeared were still flying with Russian engines. According to the CSIS’ authors the lack of next-generation engines comparable to the Pratt & Whitney F119’s on the US-made F-22 Raptor will affect its stealthiness. What the profile doesn’t establish once it reaches its conclusion is whether the J-20 poses the greatest threat to the US Air Force, the Navy, or perhaps their bases in the Asia-Pacific. Sure, it can travel more than a thousand kilometers over open sea, but what for? 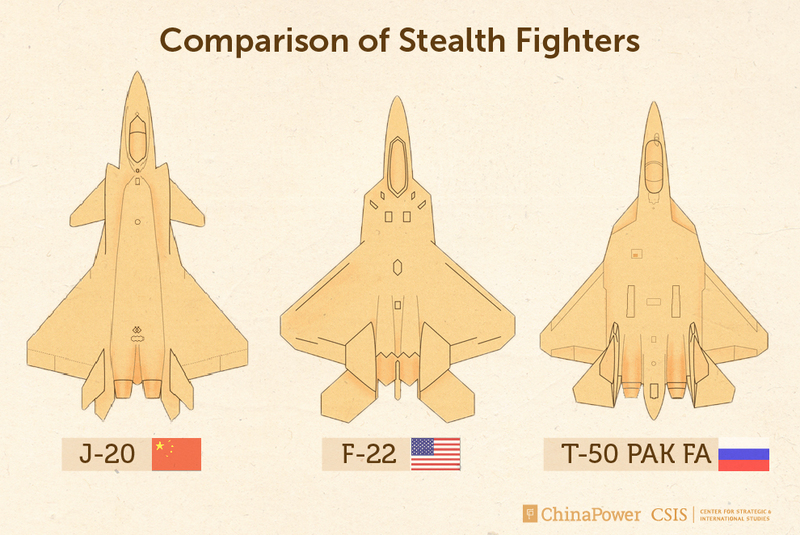 The CSIS have no definitive answers but judging by its payload, the J-20 is suited for attacking a lot of targets. Is it a great dogfighter? This too is unacknowledged. But the entirety of the CSIS’ latest effort at demystifying China’s first stealth fighter is worth relishing and then bookmarking for future reference. The 3D model is heaps of fun, anyway. 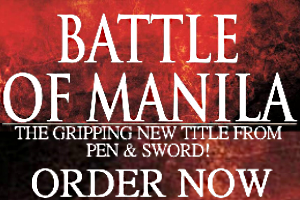 ← Does The Philippine Army Need An Armored Truck?